At Dermatology Practice of Roanoke, we provide high quality medical and surgical dermatology services in a caring and professional environment by a board certified dermatologist. At Dermatology Practice of Roanoke, we are dedicated to providing high-quality, comprehensive medical and surgical dermatologic services to patients of all ages in a friendly and welcoming environment. Hello! 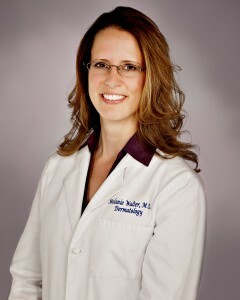 Welcome to Dermatology Practice of Roanoke! Our office is conveniently located at 2000 Stephenson Avenue, Roanoke, 24014 on the corner of Stephenson and McClanahan in the Fairlawn Surgery Center. Our hours of operation are Monday through Friday from 8AM to 4:30PM. We are pleased to invite you and your loved ones to come check out our office and meet our care team! We look forward to seeing you soon and exceeding all of your expectations!